Make sure you have the financial resources, time, and patience it takes for a successful remodeling project before you start. How long do you intend to live in your present home? If you plan on selling your home in the next few years, check with or hire a professional appraiser to see how much you can invest in remodeling and still recoup those costs when you sell the home. If you are planning on selling your home we suggest you should work an interior designer to develop your plans and budget. Once you have your permit ready designs you could immediately list the property as a For-Sale-By-Owner. We recommend these DIY & Done For Your marketing services. Make a list of the ideas of what you want the remodeling project to include and what rooms you would like to change before calling a contractor. 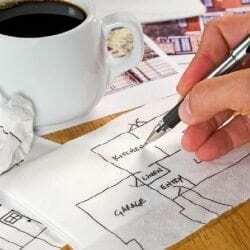 Make a list of the rooms you would like to remodel as well as the reasons for the changes. 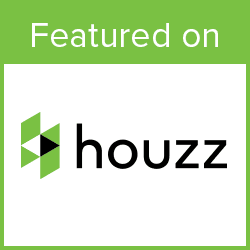 Go to Houzz.com and create an ideabooks, starting pinning on Printerest or post on Instragram. Now you are ready to start by talking with a Design/Build firm, an Architect or a General Contractor. The Design/Build Contractor— Renowned Renovation is a Design/Build Home Services company which means we provide both quality design and construction services within the same company. which benefits homeowners. As a design/build contractor will be able to see your project through from start to finish, keeping design, engineering and budget in mind. An Architect—Major remodeling projects require construction drawings for the purposes of defining a contract and procurement of permits. In cases where your professional remodeler does not provide design services, you may wish to seek the assistance of a professionally trained architect. It is best to work with an architect experienced in remodeling–he or she will be more sensitive to the special challenges that remodeling represents. Allow time for the remodel. Possible delays may and do occur during the project due to materials shortages, weather and unforeseen problems. Delays are common for special orders like replacement windows and kitchen cabinets. Take these into account when creating a time with your contractor. Unrealistic time frames will add to the difficulty and stress. Hire a professional contractor. The best way to protect yourself is to hire a professional. Horror stories abound from homeowners who have hired disreputable contractors. 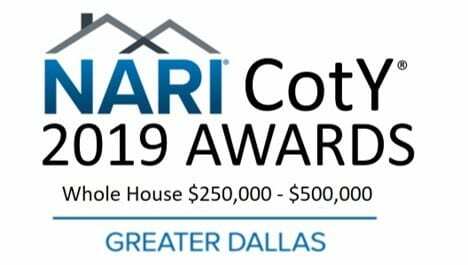 Choose a contractor who is insured, meets any state licensing requirements, and is a member of a professional trade association such as NARI.